When you visit the South beaches in Cabo Polonio Uruguay you will be experiencing nature at its very finest. Cabo Polonio is located in the southeastern region of Uruguay and here is a place where you will be able to discover the beauty and appeal of the area's beaches. festive shorelines you will find near Montevideo. There is no hustle and bustle at these beachfront properties. The beauty of this adventure is found in the relaxing, unhurried environment that allows you to explore a remarkably pristine, natural setting at your leisure. The beaches of Uruguay that line the coast of Cabo Polonio become a little more crowded during the first few months of the year. January is a particularly popular season for tourist travel to these areas. The weather is always nice, the sun is warm and the ocean views never fail to capture your heart and imagination. During October and Novemer the Cabo Polonio beaches attract numerous visitors who want to watch for the migrating whales that can be seen traveling close to shore. Even the local people of Uruguay will come and sit along the shore so they can admire the majestic beauty of these large sea mammals. There are a variety of boats that are available for hire and these will take you out further from shore so that you can experience whale watching from a more advantageous perspective. Sea lions are another wonderful sight along beaches of Cabo Polonio. The colonies of sea lions delight viewers with their antics and natural swimming abilities. Today this area is home to one of the world's largest sea lion populations and Cabo Polonio visitors have the unique opportunity to photograph and interact with these amazing creatures. There are underwater caves, islands, wildlife preserves and wonderful scenery that can be experienced when you visit the south beaches at Cabo Polonio. 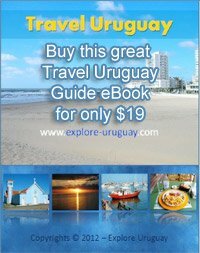 This area is where many people come when they want to explore Uruguay's natural beauty. There are only a few hostels for guests who travel to the south beaches, and these are rustic settings with few modern conveniences. While there is no electricity in Cabo Polonio this is actually one of the features that attract many tourists to the south beaches. There are no banks, no large restaurants and no throngs of people competing for the best sunbathing locations. Here is a place where you will feel as though you have taken a step back into the past, to a time when living is simpler and more welcoming. The pace of life feels slower and more relaxed which makes it easy for all visitors to unwind from the stress of normal demands and enjoy the adventures that await them in Cabo Polonio, Uruguay.